Librarians help students succeed and save valuable time by channeling their information questions to the correct source. 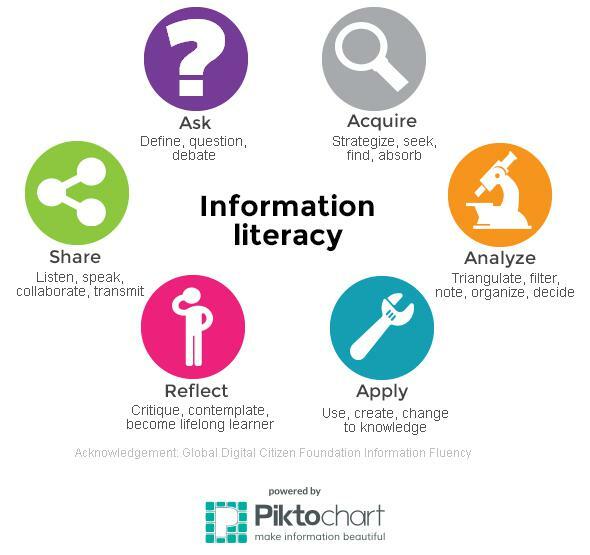 Students learn how to think critically about where information comes from and how to determine what information is worth using and what should be discarded. Students will utilize basic library services and feel comfortable in our library environment (approx. 1 hour). Students will find and evaluate information. They will use a variety of information sources, such as databases, the library catalogue, e-books, and advanced Google to gather appropriate information for an assignment. Consult with your instruction librarian for a customized class (approx. 1-4 hours). Even if your students aren't required to do research for their classes, they should still be prepared for today's knowledge-based economy. Librarians will utilize program-related scenarios to show students the importance of gathering and evaluating information for their professional and personal lives. Students will define and recognize the forms of plagiarism. Students will also be familiar with the citation style of the programs choice (e.g. APA, MLA, CSE) (approx 1-4 hours). Students will utilize a specific search tool such as eCPS, Career Cruising, CINAHL, Statistics Canada, ScienceDirect, and NursingCentral to obtain needed information (approx. 1 hour). Students will utilize technologies to complete specific assignments (e.g. PowerPoint, Word, and more) (approx. ½ - 1 hour). Please note that extensive instruction in using technologies is offered by Arts and Sciences. Librarians will travel to Regional Colleges to provide students with instruction. Librarians will assist in content development and learning object discovery for your online courses. Librarians will work with your students in a synchronous online environment (D2L Brightspace, etc.). Book a class with a librarian and learn about the latest information tools in your field (e.g. mobile apps, database searching, online videos, or just a basic introduction to library services). Students are encouraged to book time with their instruction librarian to get follow-up and individualized instruction. See the Saskatchewan Polytechnic Library information literacy plan.